If your stuck for Christmas ideas why not get one of our gift vouchers? 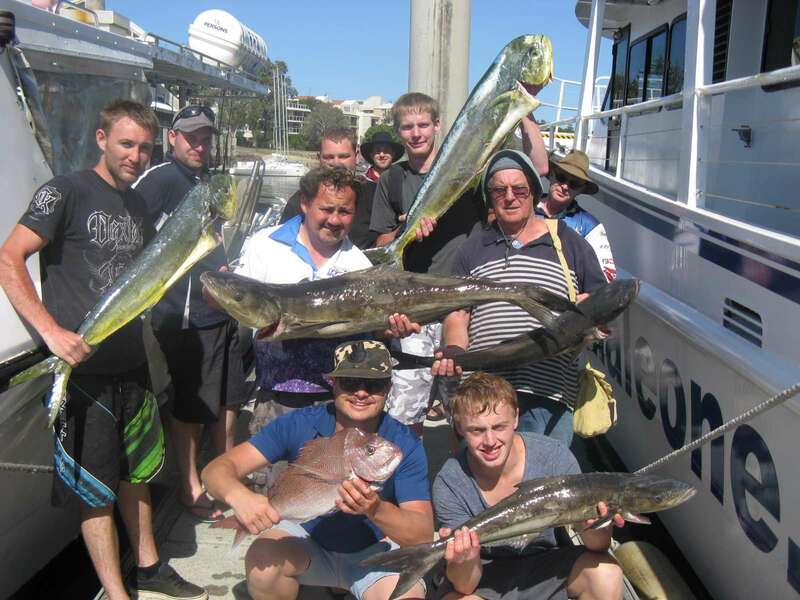 Top catch charters are back in the water and ready to tackle the upcoming pelagic season. Apologies for being “off the radar” so to speak – unfortunately we had a setback just over 2 months ago. Our boat had run over an old net which was adrift at sea, it did a lot of damage to the gearbox and propeller but it’s now all fixed and we have been fishing a lot over the past 2 weeks. The weekend just gone was a right off due to the strong northerlies but we fished nearly 10 days straight prior doing a mixture ½, 3/4 and full day trips. The shorter trips have gone really well considering we are in between our main snapper and mackerel seasons. 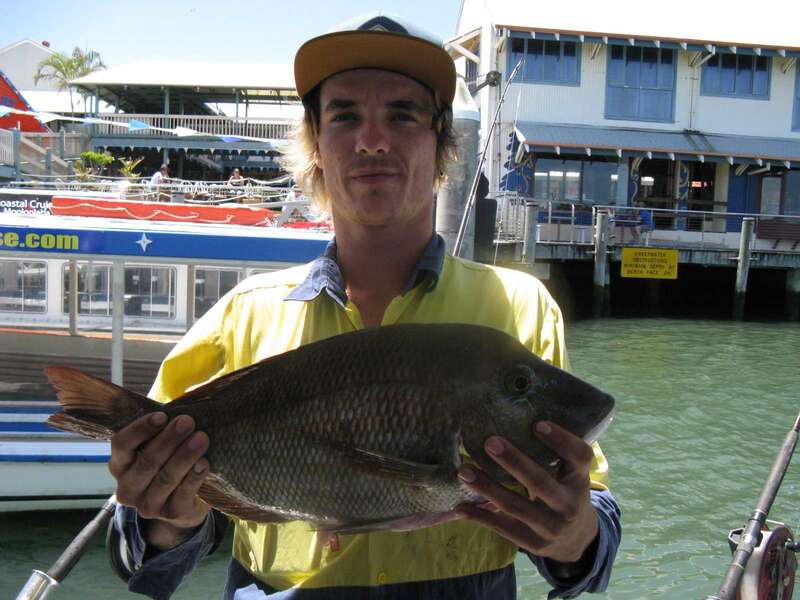 Caloundra 9nm and 12nm reefs have been working well for sweetlip, snapper up to 4kg, pearl perch, tusk fish, moses perch and the odd king fish. We also had a bit of a look up to the north on Coolum reef to see if any mackerel had shown up. We got one so not a whole lot of numbers yet but we did hook a mahi mahi on the troll and bagged a couple of nice cobia, sweetlip and stripey sea perch as well. 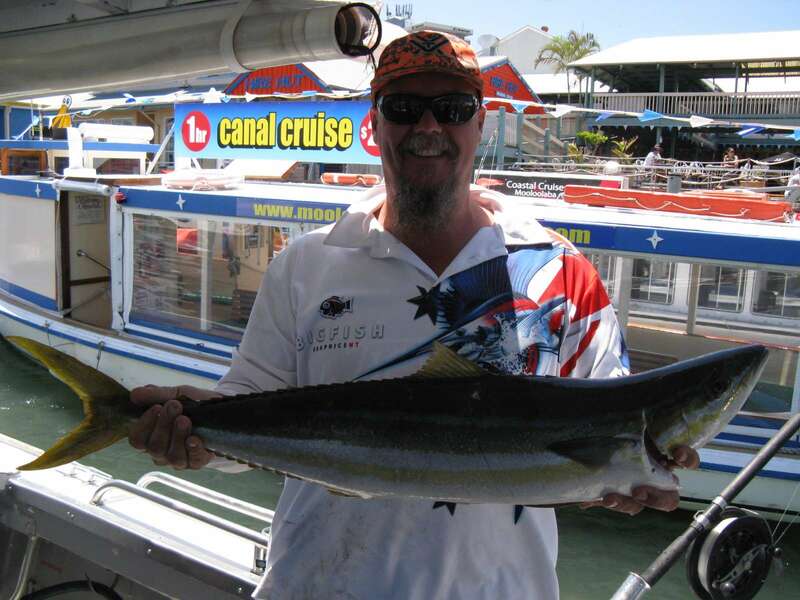 The pics above are of a 6kg rainbow runner and a 2kg sweetlip which have thick of late. The weather overall has been pretty special over the last few weeks and it certainly turned it on for us on the full day charters, with glassy conditions until late afternoon. We fished mainly the shallower area as the current was running really hard. 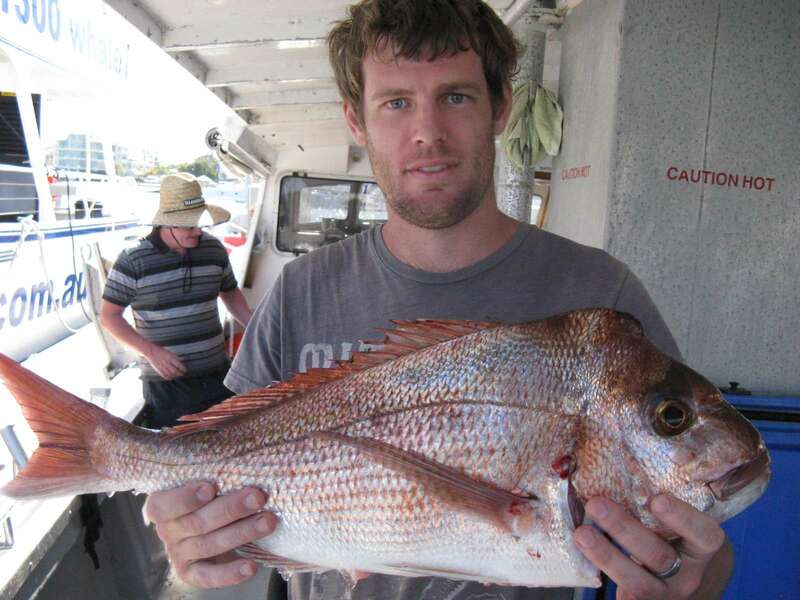 Species caught included snapper to 4kg, red throat emperor, amberjack, tusk fish, moses perch, hussar, pearl perch, cobia to 7kg and fusilier. I’m really looking forward to bottom fishing out there this weekend as we approach the new moon phase, hopefully the current isn’t too bad and we can fish some deeper areas. We did see a free jumping marlin about 30kg and tried a little bit of trolling out there though we didn’t have success. It is a good time of year for mahi mahi and wahoo so we will be starting to target those species a lot over the next 6 weeks and look forward to some big schools’ of Spanish mackerel just after Christmas. The weather is heating up and so is the pelagic fishing!!!!! If you would like to join in on the action flick us an email or simply phone to book your spot on a charter. 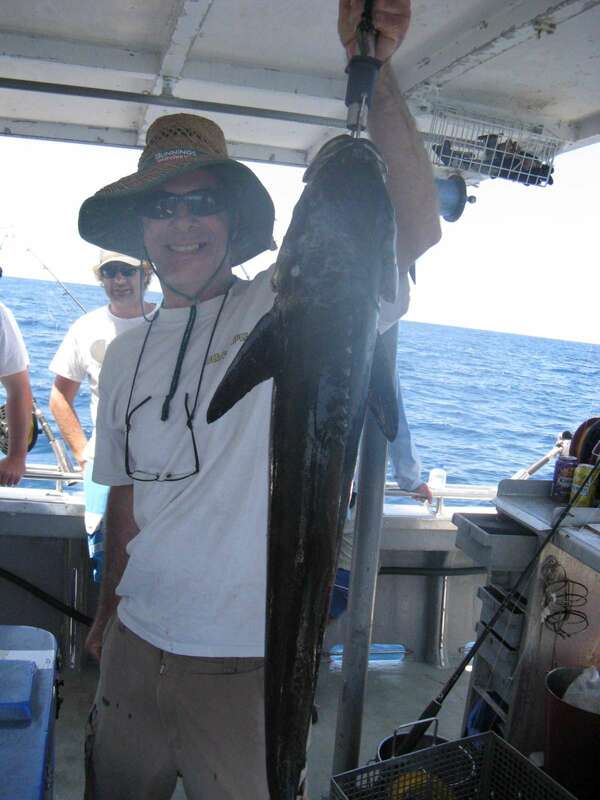 Who knows the next fishing trip could land you your TOP CATCH.